Lewis Hamilton eased to victory at the Japanese Grand Prix to extend his lead in the Formula One championship to a massive 67 points with only four races to go. 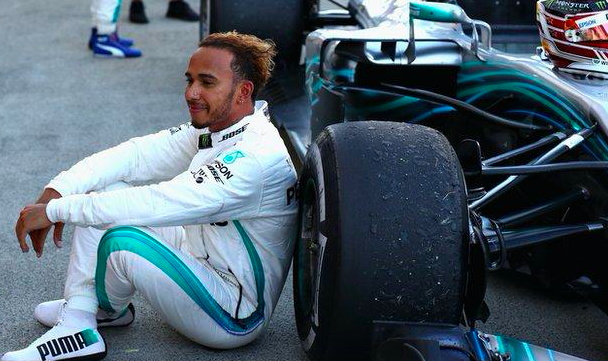 On a day where his title rival, Sebastian Vettel, started from eighth on the grid, Hamilton knew that he just had to concentrate on his own race and he will extend his lead. He controlled the race brilliantly from the start and never looked back. Vettel made a great start and was up to fourth in no time, but while attempting to pass Max Verstappen for third, the pair touched and the German’s season got even worse as he spun around and rejoined the track in 18th place. With Vettel’s race ruined, Hamilton’s afternoon in Japan became a stroll in the park. The driver of the day award went to Red Bull’s Daniel Ricciardo. He made up a massive 11 places to finish fourth, a good way to end his weekend after a difficult qualifying session on Saturday. Although the safety car had to be used early on when Kevin Magnussen’s tyre debris had to picked up, there were no dramatic incidents on a sunny day at Suzuka. Hamilton finished 12.9 seconds ahead of his teammate Valtteri Bottas in second, while Verstappen completed the podium a further 1.3 seconds back. Vettel managed to finish in sixth, and got awarded with the fastest lap of the race, but he will have nothing to smile about as Hamilton only needs to finish ahead of Vettel at the US Grand Prix in two weeks time to claim his fifth title.